Another challenge card here today. I've decided to play along with the AEI♥U October Challenge. See the details here. I love their stamps and one must have (for me at least) was the "Home Sweet Home" set - I love that tippee, the cute camper and also the igloo used for this card here. Just a perfect set for lots of occasions. 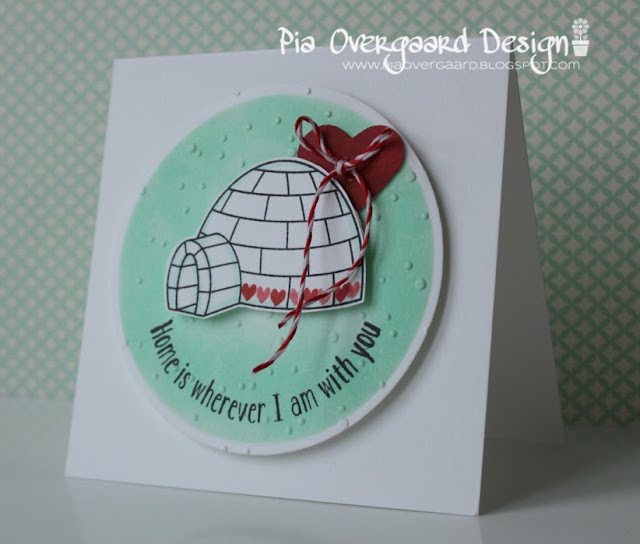 I die cut a circle using a Spellbinders die and sponged the background using Hero Arts Mint Julep Shadow inks. Other: Spellbinders die, Lawn Fawn twine, Copic Markers, CB embossing folder, MS heart punch. Thanks for stopping by today! Have a great Sunday! So adorable, Pia! I love the row of hearts on the igloo! Very "COOL" take on the sketch, Pia! 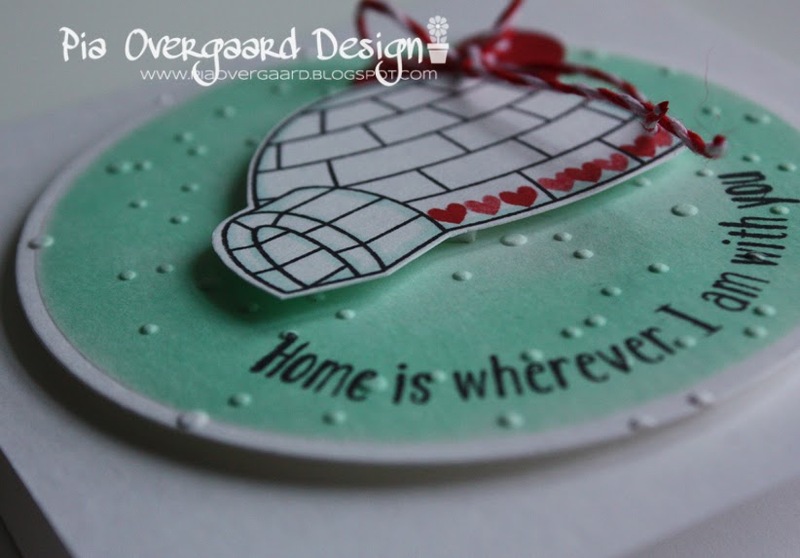 :) Love the embossed dots! Terrific design - beautifully executed!